Led by Hanno and Ira Hath, 32 mostly Manth survivors of the fall of the Mastery search for the fabled Homeland. Ira knows that as long as she feels the warmth on her face, despite the wintry conditions, they are heading in the right direction. She also knows that, according to the prophecy, she will die when they reach the homeland. She grows weaker with every step. Hanno must keep up the spirits of the marchers on the gruelling. I love this entire series and have listened to each of them with my family. Each of the stories mature, you just can't help following this family along through all of their trials. Finally in book 3, they continue their journey to finally find their home land. Great for all ages. It's something you will put in that special place for all-time favorites. 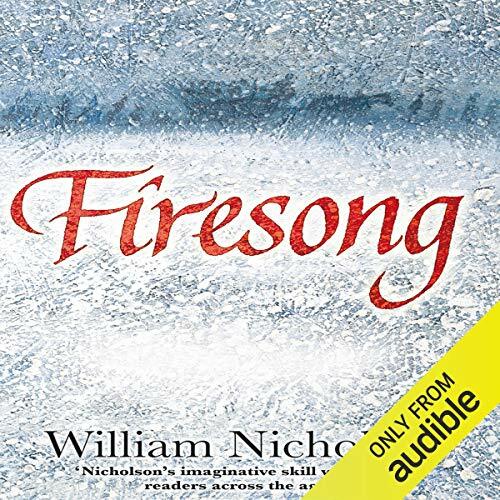 Firesong is a brilliant ending to a brilliant story, in which I cried and laughed and never stopped wishing there was more! That's cliched, I know, but really this is just an amazing series that doesn't deserve to only be read by young adults. I highly recommend it if you've ever enjoyed fantasy literature or dystopian/utopian fiction -- this is a truly top-of-the-class book. This is a great story and I loved all three books. It reminds you that no matter the difficulties and the situations you face, your family is what matters at the end. What did you love best about Firesong? The deep emotional feelings of the characters. It really touched me the way the author described what each person was thinking and why they took the decisions in different parts of the story. You don't forget the characters of this series, there is something from each one of them that is left in you as a learning. What does Samuel West bring to the story that you wouldn’t experience if you just read the book? Samuel West does a spectacular reading. He brings life to each character and uses the pauses in the reading in a way that really invites reflection of what is happening in the story, that is why this story stays with you. The mixture of deep emotions, a wonderful story and a reader that really knows his job ends up being a life experience for the listener in the steps of the characters. Yes, definitely. I heard it twice! I urge Audible to incorporate the first book of this series in the webpage. Its name is The Wind Singer. It is really good and would complete the experience.